Got a 2017-2019 Raptor 3.5L EcoBoost? Got a 2010-2014 Raptor 6.2L V8? Got a 2018-2019 F150 3.0L Power Stroke Diesel? Got a 2018-2019 F150 V8 5.0L? Got a 2018-2019 F150 2.7L EcoBoost? Got a 2017-2019 F150 3.5L V6 Ecoboost? Got a 2015-2017 F150 V8 5.0L? Got a 2015-2016 F150 3.5L V6 Ecoboost? Got a 2015-2017 F150 2.7L V6 Ecoboost? Got a 2015-2017 F150 V6 3.5L NA? Got a 2011-2014 F150 5.0L? Got a 2011-2014 F150 3.5L Ecoboost? Got a 2014 F150 3.5L EcoBoost Tremor? Got a 2011-2014 F150 3.7L V6? Got a 2010-2014 F150 6.2L V8? Got a 1997-2010 F150 4.6L/5.4L V8? Got A 2019 Ranger 2.3L EcoBoost? Got a 2017-2019 6.2L V8 Super Duty? Got a 2017-2019 6.7L Super Duty Diesel? Got a 2011-2016 6.2L V8 Super Duty? Got a 2011-2016 6.7L Super Duty Diesel? Got a 1997-2010 V10 6.8L? Got a 2016-2019 6.8L V10 RV? Got a 1998-2015 6.8L V10 RV? Got a 2013-2019 Explorer Sport EcoBoost? Got a 2011-2019 Explorer 3.5L? Got A 2016-2018 Focus RS 2.3L EB? Got A 2013-2018 Focus ST 2.0L EB? Got a 2015-2017 Mustang 2.3L I4 Ecoboost? Got a 2015-2017 Mustang 5.0L V8? Got a 2010-2019 Ford Taurus SHO EcoBoost? Got a 1997-2015 Ford Sport Van? Got a 2014-2018 Chevrolet / GMC 5.3L & 6.2L? What size tires are on your vehicle? What is your gear ratio or axle code? Why Tune My Vehicle? From the factory your vehicle’s computer is calibrated for the masses, designed with the average driver in mind, not the performance enthusiast. This not only leaves valuable horsepower & torque hidden inside your vehicle, but is also makes for a mediocre driving experience. Our tuners unlock your vehicle’s hidden performance by re-calibrating your vehicle’s PCM for maximum horsepower & torque, increase throttle response, clean shift points, increased efficiency and the best driving experience possible. Why 5 Star Tuning? We are your industry leader in Ford and GM truck, car, suv and motorhome tuning. We create and offer the most refined tunes on the market for your application. Rather than offering you a one-sized fits all approach we custom tailor all of your tunes to your specific needs. These needs can be more power, more torque, tuning for your current or future modifications or simply getting the best driving experience from your vehicle. In addition to our refined approach to tuning vehicle, we ensure your vehicle’s reliability will never be compromised. Dyno & Street Proven Tunes! Our 5 Star Tuning custom tunes have been dyno developed, refined, tested repeatedly, street tested, tow tested and driven all over the country in our own personal vehicles. Nothing says highest quality tune on the market such as investing in our own vehicles and testing them for over a million test miles by our own engineers. Free Tunes for Life! Have you added a new mod to your truck, car, suv or motorhome and wish to maximize your application’s performance? For all of our Tunes for Life members these modifications are free for the life of your vehicle while you own it. This will ensure that your vehicle run properly with our dyno and street tested tunes give you the most horsepower, torque and most efficient performance possible with your newest addition. For more information on what qualifies for free tune upgrades visit https://5startuning.com//free-tunes-life/. Want More Performance? A 5 Star Tuning Custom will dramatically improve your drivablity, horsepower, torque, throttle response, efficiency, and towing capacity. Eliminate your factory speed limiter, sluggish throttle, sloppy shifts and lackadaisical nature of your vehicle. How Do We Get More Performance? Our tunes bring the most potential out of your vehicle by adjusting your fuel tables, drive by wire, timing, torque converter, shift strategies and shift pressures. Visit our Custom Tuning Info section for more detailed information for your specific vehicle. What Can My Device Do? For starters your device is extremely versatile. In addition to being your flash programmer it can perform many other functions. It can easily load store up to 10 of your 5 Star Tuning custom tunes. Your device can also be used to monitor your vehicle engine parameters. (Parameters can range from engine RPM, Speed, Coolant Temperatures and many more). The tuner can also be used to datalog your vehicle to further dial in current or future modifications. Your flash programmer will also store a copy of your factory tune and your vehicle can be returned to stock at anytime. Which Tunes Are Available For My Application? Our entire lineup of tunes for your vehicle can be found by visiting our calibration request form. All of our current tunes for each application can be found under our custom tune dropdown menu. How Does The Process Work? Below is a step-by-step overview of our custom tuning process. Prior to building your custom tune files, we will need a complete “read” of your factory program before sending over your custom tunes. The read must be uninterrupted and may take up to 16 minutes. The key must remain on the entire time. Please do not subject your vehicle to any “voltage spikes” while reading or tuning. This includes rolling down the windows, turning on the air, radio or opening the door. After your vehicle has been successfully read, turn the key off, wait 10 seconds and then start the vehicle. Disconnect the nGauge and email the stock file to sales@5startuning.com. (The stock file will be located on the STOCK FILES folder on the micro SD card, which is mounted to the nGauge and will be namedStockFile.stk). This operation will be supported via Windows or OSX. Upon receiving your custom tune files, drag and drop them into the “Custom Files” folder on your nGauge device via the SD card only. How Long Does Installation Take? Installation will take approximately 5-10 minutes. Do I Need A Shop To Install? The installation process of the tuner is simple and can be performed by anyone. No tools are required for the installation. What If I Have Other Technical Questions? 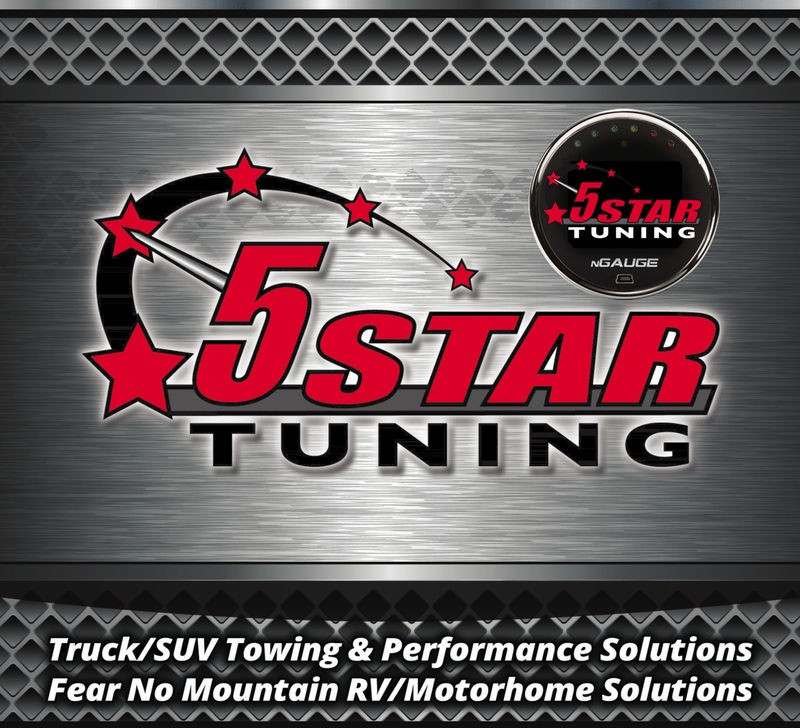 We can always be reached at 843-536-1244 or via email at contact@5startuning.com for questions on concerns on the tuning process. We also feature a support page with information and videos pertaining to loading your custom tunes, updating your device, installation, etc at https://5startuning.com//support/. Note: Compatible with both Windows and OSX operating systems. Notice: By ordering this tuner, tune or performance modification you agree to assume all responsibility for assuring that it is in compliance with all U.S., Canadian, international, state & provincial laws and regulations. 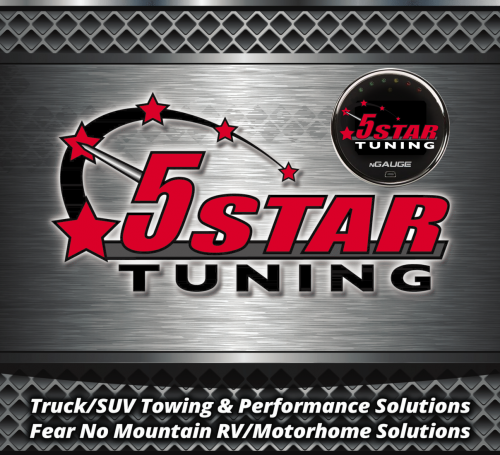 5 Star Tuning assumes no liability for any violations arising out of any federal, state or provincial emissions or safety requirements on motor vehicles arising out of the customer’s modifications and/or use of our products or services.